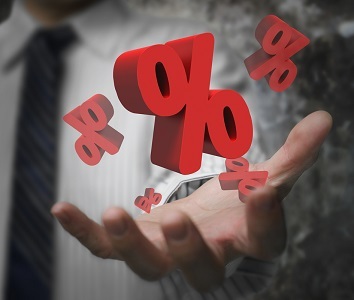 The current Policy Targets Agreement (PTA) requires the Reserve Bank of New Zealand (RBNZ) to "keep inflation between 1 and 3 percent on average over the medium term, with a focus on keeping future average inflation near the 2 percent target midpoint." According to Wheeler, current inflation levels are below the target range "mainly due to the earlier strength in the New Zealand dollar and the 65% fall in world oil prices since mid-2014." Wheeler made it clear that he expects the RBNZ to reach its inflation target at the current cash rate level, with further cuts unlikely at this stage unless the situation changes dramatically. "The inflation rate is expected to move inside the target range from early 2016, as earlier petrol price declines will drop out of the annual calculation, and the lower New Zealand dollar will be reflected in higher tradables prices," he said. While growth in the New Zealand economy has softened over 2015 due to lower terms of trade and rising unemployment, Wheeler was positive about the future of the economy. "A recovery in export prices, the recent lift in confidence, and increasing domestic demand from the rising population are expected to see growth strengthen over the coming year," he said, with RBNZ predicting economic growth of 2.4 percent in the first three months of next year when compared to the same quarter of 2015. In a surprising reaction, the New Zealand currency gained on news of the rate cut, with Wheeler calling the Kiwi's move against the US dollar "unhelpful". While the currency has dropped a little since the announcement, it is still sitting around the $0.67 mark. Further depreciation in the dollar would be highly supportive of sustainable growth, as would a rise in global dairy prices. New Zealand exports roughly 95 percent of its milk production, with the country's dairy exports having been hit twice recently though falling global prices and a slowdown in China - a big buyer of local dairy products. Wheeler also mentioned the housing market during the announcement, with the situation in Auckland starting to cool but still posing significant risks: "House price inflation in Auckland remains high, posing a financial stability risk. Residential building is accelerating, and recent tax and LVR measures are expected to reduce housing pressures. There are some early signs that Auckland house price inflation may be moderating."